Mele thought she had a boyfriend. She thought he was “the one.” Until she found she was pregnant and the man she’d been seeing for almost a year announced he was getting married—to someone else. Three years later, Mele is the Solo Mom of daughter Ellie, her “wonderful mistake,” living in a nice (but not posh) neighborhood of San Francisco. Mele’s wealthy parents in Hawaii pay the bills while the former writer and passionate chef tries to reconfigure her life in a way that makes sense. The perfect challenge comes along to snap her into action: a cookbook contest. But not just any cookbook contest—this one is sponsored by the San Francisco Mothers Club (SFMC); a hypercompetitive, often absurd social network of elite women with too much time and not enough self-awareness. One of the working titles of Mele’s cookbook in progress is “How to Party With an Infant,” which lends itself to the title of this comic novel by Kaui Hart Hemmings, author of One of the working titles of Mele’s cookbook in progress is “How to Party With an Infant,” which lends itself to the title of this comic novel by Kaui Hart Hemmings, author of The Descendants. Much of the book takes the form of Mele’s extended contest-questionnaire responses running wildly off course. The schtick of both the cookbook and the novel is that Mele will create specific recipes inspired by the stories and spirit of her four best friends, all outliers of the SFMC, like herself. “I’ll take moments from their everyday lives—moments that define their issues somehow, and come up with the food equivalents. I will make a difficult moment in their lives a little more palatable.” It’s a harebrained and hilarious attempt to do something the women of the SFMC would find shocking: telling the truth about motherhood. The funniest parts of this laugh-out-loud novel come in the form of fictional posts of the SFMC forum. Earnest questions about feeding nannies, potty training, and deporting suspected immigrants inspire heated online debates and even more ridiculous rounds of support among this insane confederacy of helicopter parents. Hemmings has a keen eye for social satire and a gift for capturing the farcical in one compact detail, such as private preschools that charge prospective parents visitor’s fees. “A visitor’s fee—like the school is some kind of museum of stick-figure art,” Mele observes. Mele and her friends are irreverent and likable, but their wicked senses of humor at times belie their privilege and the blind spots that come with it, even as Hemmings takes pain to portray the main characters of her novel as underdog rebels to the elitist conformist world of upper-crust parenting. Trenchant and entertaining in their takedown of the mommies in the millionaire set, Mele and her friends are still comfortably middle class and safely oblivious to anyone a rung or two below them on the socioeconomic hierarchy. Then there is a moment when the hysteria to get their kids into the best possible preschool almost has these very white and/or very privileged characters lying about their kids’ respective ethnic backgrounds, a stunt that is supposed to be funny, except for the whole world of institutionalized racism and classism it blithely ignores. But this misstep is not a reason to forgo reading this funny and heartening tale of a Solo Mom finding her tribe. As the deadline for the cookbook contest looms, Ellie’s father asks if Ellie can be the flower girl in his wedding, inviting Mele to come as a guest, if she wants. Then there is the sexual tension brewing with Henry, the only dad in her cohort of playgroup parents; but Henry is married, and Mele has already been hurt by unavailable men before. 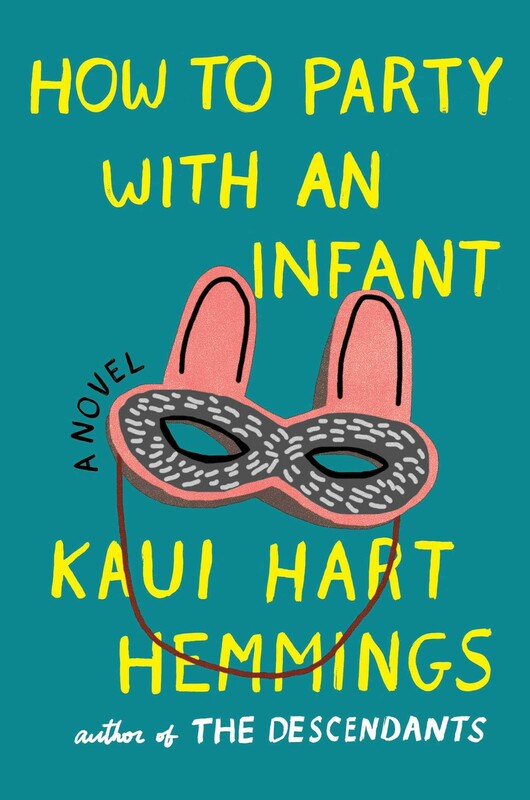 Still, she muses, “it feels wonderful to want something, to be charged by something, to let her know she isn’t dead down there.” How to Party With an Infant does not demur at sticky conflicts, and it is the brutal honesty that makes this novel so refreshing and fun. If you’re too tired or broke to execute a “girls’ night out,” stay home with this novel and the beverage of your choice instead. You’ll be glad you did.